Very recently, we shared the news that a 'Super Smash Bros. Ultimate Edition Nintendo Switch Pro Controller' - to give it its full name - is due for release on the same day as the game's launch on 7th December. If you're interested in getting the controller for yourself, you might be interested in checking out this latest little teaser video. 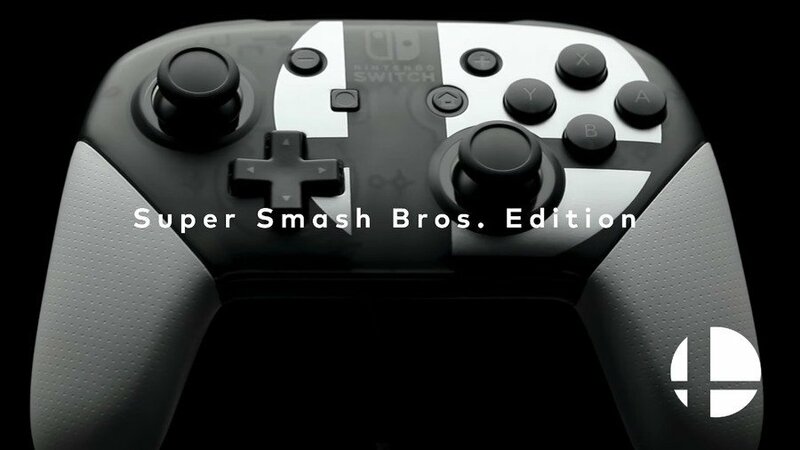 Uploaded by Nintendo UK, this teaser trailer invites you to "Smash in style" when the controller becomes available later this year. It features some extreme close-ups, showing off the new design very nicely indeed, but features absolutely no sound. Is this controller too epic for music? Are there no pieces of music that could do it justice? We just don't know. It may only be 15 seconds long, but it does give us a slightly better indication of how the controller will look in the flesh. It appears to have divided opinion, but we have to say that we think it looks very lovely indeed - especially with those white grips. We couldn't quite get over the strange lack of sound so, in an example of superbly professional journalism, we tasked our very own YouTube star Alex Olney with "fixing" the video. Here's the result. Do you want to get your hands on this Pro Controller? Let us know whether or not you're a fan of the new design down below. I don’t like it at all, honestly. I want WHITE Switch Pro Controller. @Broosh Dont play with my heart. If they would remove the logo I would love it. The Splatoon 2 and Xenoblade 2 ones look better. @BensonUii your getting the smash game bro,stop kidding yourself! HMMMMMMM............. I think i will get the splatoon ed. from my retailer but.... if i wont.... i will get it DEF. The question is... can the white handle my rage-grease? I'll take it! I've been looking for an excuse to get one of those fancy improved post-Xenoblade 2 controllers. Love the look of this one. Hopefully they continue this trend for all their big games! @Anti-Matter take a look at this, saw it on Amazon this morning while trying to preorder this controller. Not sure if it's sold where you are but maybe just want you're looking for! Depending on the price I might get it. I don't have any Pro Controllers and was considering a Mayflash F300 arcade stick for use with other consoles too, but like I said, depending on the final price I might get it and solve the problem I have with fighting games and the joy-con "D-pad". Me and everybody else. Gamecube controller for every possible Smash Bros. game is something I for one don't understand, they're games totally playable with normal pads, and I've played mostly the 3DS version, not uncomfortable at all. I don't quite understand the obsession with Gamecube-like controllers for these games is all. Nice, definitely picking this up. Love it but I just bought a new pro controller. So I guess I'll pass. @1UP_MARIO LOL, no problem happy to help. I agree wouldve loved it without the logo as well. Really dig the Famicom style buttons though! Pro controller is expensive, but definitely nice to have. I've only bought one though, and a spare set of joy cons. I don't see myself buying more controllers than that unless one of them breaks. It's just controller with a freaking logo painted on it, c'mon Nintendo they least you could do is add in some flame effect for the logo so to make the product worth rebuying again. @Moroboshi876 It's because Super Smash Bros. Melee is a cult game and the only entry that is the best-selling game on a platform. Fans are so used to the controller, especially the buttons size and layout, that they just don't want to give it up. 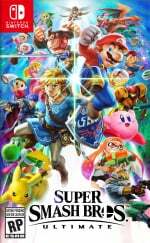 Anyone know if Wal-Mart has posted the pre-order page yet? I really like the black and white color pattern... I don't like the logo though. I don't own any Pro controller yet, so this might be the first one if they've addressed the issues with the D-pad that some people seem to have. Although thinking about it twice... for the same price I rather get a new game instead since I'm perfectly satisfied with the Joy-Con grip layout. Got me with the success thing. 2 days later: Announce a new Smash Bros pro controller to try and push the sales. Nice try big N, love you, but im fairly certain you know where you can stick this controller 👍.